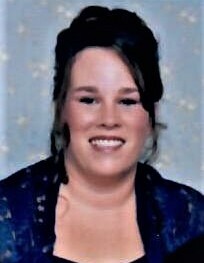 Worcester/Oxford – Nicole M. “Nikki” (Laraia) Goyette, passed away unexpectedly after a short illness on Monday January 28, 2019. She was 47 years old. Nikki was born December 1, 1971 to Joseph N. and Joanne (Zukowsky) Laraia, whom both predeceased her. Nikki grew up and lived most of her life in Worcester until moving to Oxford in 2004; she graduated from South High Community School in 1989. Upon graduation, Nikki worked several different jobs including medical transcription. Nikki leaves her three children whom she loved with all her heart, Jacob W., Kaitlyn M., and Emma N. Goyette all of Oxford; her ex-husband David W. Goyette, also of Oxford; her loving in-laws David G. and Teresa L. Goyette of Worcester, and Shirley J. Goyette of Spencer, and her brother Jeffrey N. Laraia of Charlton. Nikki also leaves many nieces, nephews, cousins, aunts, uncles, and extended family members, including the many friends she made and adored from her stay at Parsons Hills Health Care Center in Worcester. Nikki was also predeceased by her step-father Peter P. Thibodeau, whom she considered a second father. A compassionate and loving person, Nikki would give the shirt off her back to anyone; she enjoyed watching her children grow and accomplish everything they did. Nikki was involved with both the Worcester and Oxford Public School Events for her children. A talented cook, Nikki could prepare anything from a Polish boiled dinner to her famous macaroni salad, a staple at any cookout or get together. Most importantly, Nikki enjoyed the times spent with her children and family on Hampton Beach during the summers. All are invited to join with Nikki’s family to celebrate her life on Friday February 8, 2019 from 5:00 – 7:00 pm at the Graham, Putnam & Mahoney Funeral Parlors, 838 Main Street Worcester, MA.